Organ music and choral singing play very important roles in each church service and are focal points for praise in various ways. "Music is the bicycle upon which the liturgy rides" is a quotation by Thurston Dart, Professor of Music at Cambridge and later King's College, London. Valerie Ireland is filling the role of organist on a temporary basis (as at 10th February 2019). The Rector welcomes enquiries from new choir members, instrumentalists and soloists to participate in our diverse programme of church music. Practices will be held weekly in the Parish Room on Monday evenings from 7:30pm - 9:00pm until further notice. Choir members should meet in the Parish Room on Sunday mornings at 10:00am. 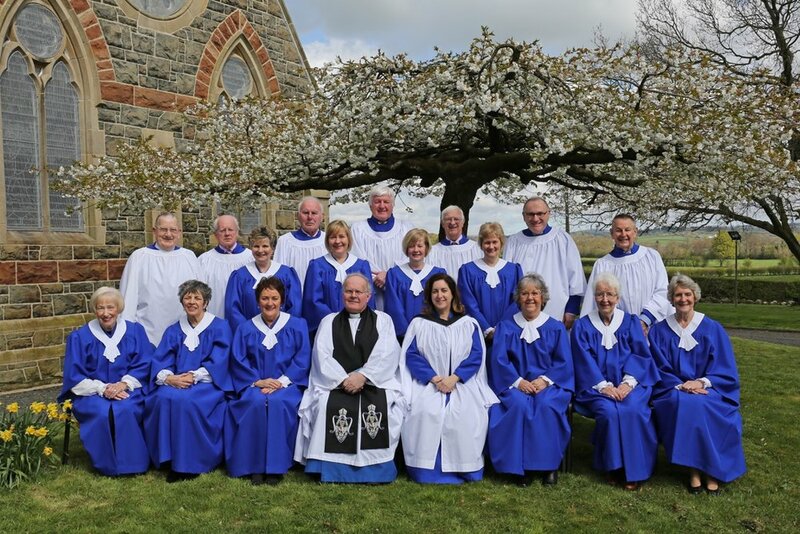 Singers from all backgrounds from beyond the parish are also welcome to participate as occasional singers to participate in the High Services and on special occasions. Holy Week and Easter Sunday; Harvest; Remembrance Sunday; Advent Sunday; the Sunday before Christmas; Christmas Eve. If you would like further information please do not hesitate to contact the church by using the contact form on this website. Valerie Bryans, Betty Girvan, Kate Henry, Rosemary Logan, Joan Lutton, Lillian Lyttle, Heather McLeod, Liz McWilliams, Agnes Montgomery, Barbara Rea, Hilary Rea, Patricia Robinson & Sheilagh Swanton. Tom Andrew, Nigel Cinnamon, William Harper, David Holmes, Alistair Montgomery, Neil Paget & John Swanton.